Meeting with international employment agency Amber Job! Home › Meeting with international employment agency Amber Job! We invite all students to attend a meeting with Amber Job, an international recruitment agency on the 13th of November at 14:00 in the auditorium 203! 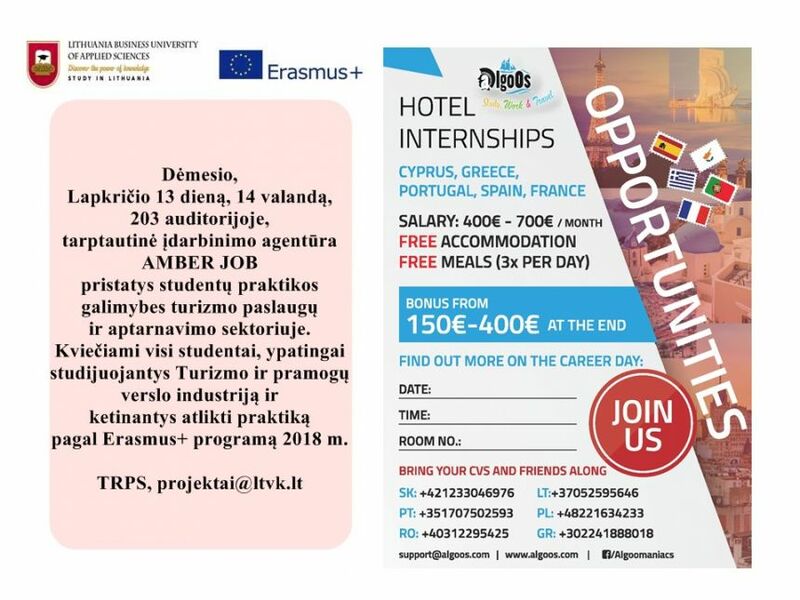 During the meeting you will learn about opportunities in the field of tourism!